Chartered physiotherapy costs are reclaimable from all major health insurers including, VHI, Aviva Health, Laya healthcare and Glo Health. The amount that you will be reimbursed depends on your policy and plan so you are advised to check with your health insurer before attending. Patients are also eligible for tax relief on chartered physiotherapy costs. Tax relief is redeemable by completion of the MED 1 form, which is available in the clinic. 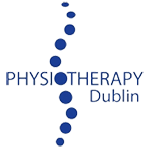 Enquire about registering your club or sports team with Laurel Lodge Physiotherapy to avail of further discounts on our chartered physiotherapy services. Email your details today to enquire. Fee is inclusive of all materials, exercise equipment, tape, etc. 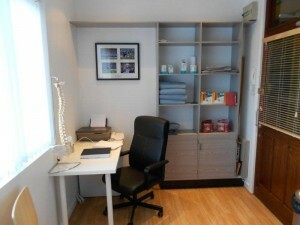 You may be entitled to 7 free physiotherapy sessions at our clinic! Many of our patients already benefit from this. Unfortunately the scheme is only available to health insurance holders. However we’d still love to help you with your injury so please get in touch and we can try help you. Unfortunately this direct settlement scheme is only available to Aviva health insurance holders. However VHI still offer a reimbursement scheme for treatment received at our clinic so please get in touch and we can try help you. Unfortunately this direct settlement scheme is only available to Aviva health insurance holders. However Laya health insurance still offer a reimbursement scheme for treatment received at our clinic so please get in touch and we can try help you. Unfortunately this direct settlement scheme is only available to Aviva health insurance holders. However Glo health insurance still offer a reimbursement scheme for treatment received at our clinic so please get in touch and we can try help you. Unfortunately this direct settlement scheme is only available to Aviva health insurance holders. However Garda Medical Aid still offer a reimbursement scheme for treatment received at our clinic so please get in touch and we can try help you. Unfortunately this direct settlement scheme is only available to Aviva health insurance holders. However HSF insurance still offer a reimbursement scheme for treatment received at our clinic so please get in touch and we can try help you. Unfortunately this direct settlement scheme is only available to Aviva health insurance holders. However all other insurers still offer a reimbursement scheme for treatment received at our clinic so please get in touch and we can try help you. You may be entitled to 7 free sessions of treatment for this injury under the Aviva Back-Up Programme, if the origin of your shoulder injury is from your back or neck. The Back Up Programme is a direct settlement scheme that Aviva offer to it’s members through our clinic. Please get in touch so we can get further details and get your treatment started. You may be entitled to 7 free sessions of treatment for this injury under the Aviva Back-Up Programme, if the origin of your buttock pain is from your lower back. The Back Up Programme is a direct settlement scheme that Aviva offer to it’s members through our clinic. Please get in touch so we can get further details and get your treatment started. You may be entitled to 7 free sessions of treatment for this injury under the Aviva Back-Up Programme, if the origin of your leg pain is from your lower back. The Back Up Programme is a direct settlement scheme that Aviva offer to it’s members through our clinic. Please get in touch so we can get further details and get your treatment started. You may be entitled to 7 free sessions of treatment for this injury under the Aviva Back-Up Programme, if the origin of your pain is from your lower back or neck. The Back Up Programme is a direct settlement scheme that Aviva offer to it’s members through our clinic. Please get in touch so we can get further details and get your treatment started. Yes. You are entitled to 7 free sessions of treatment for this injury under the Aviva Back-Up Programme. The Back Up Programme is a direct settlement scheme that Aviva offer to it’s members through our clinic. Please get in touch so we can get further details and get your treatment started.